Alpes Vaudoises is a group of resorts in the Alps of the Lake Geneva Region. Compared to some of the other Swiss ski areas, it's much less frequented and well-known by British skiers, but is well worth checking out, not least because some of the slopes and resorts are much quieter than some of the traditional Swiss favourites. 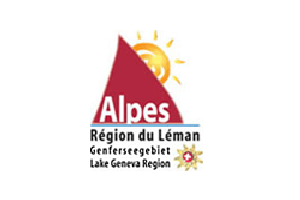 The Alpes Vaudoises group of resorts consists of: Aigle, Bex, Chateau-d'Oex (the alpine capital of hot air ballooning), Gryon, Les Diablerets, Les Mosses, Leysin, Rossiniere, Rougemont and Villars. Below you'll find Information on the Swiss ski area of Alpes Vaudoises, including links to the surrounding resorts, webcams, slope information, lift details etc. Detailed review of the Swiss ski resort of Chateau d'Oex. Includes detail on the slopes, the town itself, all the links you need, and some useful local knowledge. Detailed review of the Swiss ski resort of Gryon. Includes detail on the slopes, the town itself, all the links you need, and some useful local knowledge. Detailed review of the Swiss ski resort of Leysin. Includes detail on the slopes, the town itself, all the links you need, and some useful local knowledge. Detailed review of the Swiss ski resort of Les Diablerets. Includes detail on the slopes, the town itself, all the links you need, and some useful local knowledge. Detailed review of the Swiss ski resort of Rougemont. Includes detail on the slopes, the town itself, all the links you need, and some useful local knowledge. Detailed review of the Swiss ski resort of Villars. Includes detail on the slopes, the town itself, all the links you need, and some useful local knowledge. The Isenau slopes are reached by taking the Diablerets-Isenau gondola from the resort centre of Les Diablerets up to 1763m. There's a decent chairlift to take you from Vioz on the valley floor up to Mazots at 1720m. Vers l'Eglise is a small village just down the road from Les Diablerets, so if you're staying there you can get direct access to the slopes of Meilleret from the chairlift that starts there. One of the advantages of the Meilleret area is that it links into the resorts of Villars and Gryon which are both on the opposite side of the mountain. You can get to the Meilleret area from Villars and Gryon via the Chaux Ronde area above Bretaye and then getting the lift up into the Meilleret area. As with many glacier ski areas it's obviously not as easy to get to as the other ski areas in the resort - you need to get yourself up the road on the ski-bus to the giant cable-car station at the Col du Pillon, it's not far and the scenery really took us by surprise - the mass of rock that looms above you is incredible. Anyway, take the cable car from the Col du Pillon up to Cabane and then get on another from there to the top glacier station (for anyone staying on the Gstaad side of the Col du Pillon you can get a cable-car from Reusch or a chairlift from Oldenalp and then join onto the final Cabane-Glacier leg). Bretaye is the main skiing area above Villars and there are a couple of options to get there from the resort. The most direct method is on the funicular from Villars town centre right up to the terminal at Bretaye, however be aware that this can get crowded in peak times. The alternative is to get the gondola from the edge of the resort up to Roc d'Orsay, from where there are a series of slopes down to Bretaye. If you want to get to the Bretaye area from Gryon then either to get into Villars itself (for example get on the funicular in Gryon and stay on it right up to the Bretaye terminal) or if you're out on the slopes of Les Chaux then ski down to Rasse and get on the chairlift to Chaux Ronde, and you can then ski down and link into the pistes around Bretaye. If you want to get to the Bretaye area from the Les Diablerets side then do a similar thing and get to Chaux Ronde from the Meilleret area, and then ski into Bretaye from their. To get to the slopes of Les Chaux above Gryon means a quick jump into the gondola from Barboleuse, down on the outskirts of Gryon village, taking you right up to Les Chaux at 1750m. If you want access to Les Chaux from Villars then one option is to get the funicular from Villars down to Gryon, and then get on the gondola at Barboleuse, or if you're already on the slopes around Bretaye then ski the blue down to La Rasse and then get the chairlift up to Croix des Chaux - you've then got access to all of the slopes below you. There are only a couple of options to get up to the slopes of La Braye above Chateau d'Oex. By far and away the most popular option is to take the cable car from Chateau d'Oex up to Praz Perron at 1200m and then the chairlift up to the top station at La Braye (1630m). The only other option is to get the chairlift from Gerignoz (which is along the valley floor from Chateau d'Oex) up to Les Mourriaux and ski over to Bois Chenau and get another chairlift up to La Montagnette and get into the slope network that way. There's direct access to the slopes above Leysin from the resort itself with two main lifts. The 6-person Leysin-Berneuse gondola goes up to the fantastic glass revolving-restaurant with great views over the other side of the mountain towards Lake Geneva. The other lift (a 4-person chairlift) from Leysin village goes up to Tete d'Ai. From here you can get access to the area's highest point - Chaux de Mont (2305m), via a chairlift. Tete d'Ai also gives you easier access to the slopes of Les Fers and the Solepraz area, which is linked to Les Parchets/Les Mosses by a ski bus. The Isenau slopes are reached by taking the Diablerets-Isenau gondola from the resort centre up to 1763m. There are then 5 t-bar lifts available to give access to a number of red and blue slopes, including the long P14 blue that takes you back down to the gondola in town. The top range of the slopes at Isenau is 2109m, which you have to use the Floriettaz t-bar lift to get up to. There are then 2 reds that come down the mountain either side of the lift. The Isenau area is best suited to general recreational skiers and there are a couple of mountain restaurants and bars up there. The slopes at Meilleret are good, mainly blues but with a smattering of more testing reds mingled in amongst them. There's a decent chairlift to take you from Vioz on the valley floor up to Mazots at 1720m. There are some really nice wooded runs up here - ski part way down the long Ruvine blue run (P26) and you can then get another chairlift up to the highest point of this area - Meilleret at 1948m. There are a couple of reds down from here as well as a blue. It's worth pointing out that there are blue runs from the top of Meilleret and Les Mazots right down to the bottom of the Vioz-Mazots chairlift and also to the foot of the Vers l'Eglise chairlift. Vers l'Eglise is a small village just down the road from Les Diablerets, so if you're staying there you can get direct access to the slopes of Meilleret from the chairlift that starts there. One of the advantages of the Meilleret area is that it links into the resort of Villars which is on the opposite side of the mountain. However, be aware that the chairlift that gives access to it is pretty slow and can be quite exposed in bad weather. However, once you've got over there it does give you access to a whole host of other slopes, although they did seem a lot busier in comparison to Les Diablerets. The slopes up at Glacier 3000 give Les Diablerets the chance to promote itself as a guaranteed snow resort, well at least for the early and late month's of the season when other resorts might have no slopes opened. You cant ski there all year round anymore because the of the reduction in the glacier, but it's handy nonetheless and gives the resort some extra options over it's nearby rivals. As with many glacier ski areas it's obviously not as easy to get to as the other ski areas in the resort - you need to get yourself up the road on the ski-bus to the giant cable-car station at the Col du Pillon, it's not far and the scenery really takes you by surprise - the mass of rock that looms above you is incredible. Anyway, take the cable car from the Col du Pillon up to Cabane and then get on another from there to the top glacier station (for anyone staying on the Gstaad side of the Col du Pillon you can get a cable-car from Reusch or a chairlift from Oldenalp and then join onto the final Cabane-Glacier leg). Once up on top at the glacier it's like a largish plateau. There are 3 blue's and a shortish red, although I've got to say the blue's are quite flat and will probably only be of real interest to beginners. Les Diablerets only has two black runs and one of them (Olden-Audon) goes right from the Scex Rouge cable car at 2970m round the back down to Oldenalp at 1840m - a vertical drop of 1130m and a great 10km run. If you get on the chairlift at the end of this black and travel up to Oldenegg you can then go down the other (shorter) black run down to Reusch. The main black has some quite steep sections and was really icy when I came down it - so be prepared ! Despite the blues being a bit too flat for my liking the scenery up their is genuinely incredible and definitely worth the trip. The cable-car ride is fantastic too - really dramatic stuff. We'll start with the highest point in the Bretaye area, which is the Grand Chamossaire at 2120m. You get up there via the chairlift from near the funicular station at Bretaye. There are a couple of reds from Grand Chamossaire, one linking it with Roc d'Orsay and one sweeping right down to near the start of the chairlift. For those ending up at Roc d'Orsay (either via the slopes from Grand Chamossaire or via the gondola up from Villars), there is a red piste down the other side of Roc d'Orsay, with a drag lift serving it to haul you back up. As well as the red coming down from Roc d'Orsay to Bretaye, there is a blue as well, which branches off into an optional black piste halfway down, which gives more advanced skiers the option of heading down towards Villars. If we have a look at the slopes and lifts in the immediate area area around the main core of facilities at Bretaye, we'll find that there are a couple of drag lifts serving some smaller blue pistes (there are also a couple of longer drag lifts that take skiers to the Chaux Ronde area). The blue that comes down from Roc d'Orsay to Bretaye continues down parallel to the funicular and then sweeps down to the resort of Villars, branching off into a couple of further blue slopes and the option of a small section of a red. La Braye's slopes are situated above Chateau d'Oex. There are about 35km of slopes here and 7 lifts, with the majority of runs being reds and blues. One of the main problem's with the area is that the altitude of the top station of La Braye is only 1630m, so in times of warmer weather, this relatively low altitude does not give any sort of guarantee of great snow. However, the midwinter conditions are usually good and there are some nice long runs to be had - starting at the top station there is a long blue, appropriately called "La Bleu" which sweeps around from La Braye towards Tete du Grin and then right down to Praz Perron at 1200m. From here there's a number of options - the cable-car station linking with Chateau d'Oex down below, the 2-man chairlift going back up to La Braye, or you can continue skiing down on another blue to Gerignoz, just along the valley bottom from Chateau d'Oex. As well as the blue coming down from La Braye there are a series of black slopes and a couple of reds - number 97a also links down to the cable car at Praz Perron, whilst Rerey (red piste no 94) comes down the woods on the other side of the ski area via La Montagnette, with a couple of slope choices on the way down to Bois Chenau. The black slopes that come down from the top station at La Braye, shoot down a wooded area in between the two reds, and branch off halfway down with a couple of options to either Praz Perron (via La Crause) or joining up with the reds coming into Bois Chenau. From Bois Chenau you can take a chairlift back up to La Montagnette or continue down to Gerignoz on red piste number 92. It's worth noting that Berghaus La Braye up at the top station is the only mountain restaurant in the ski area. We'll start from the highest lift-served point in the Les Chaux area, which is the 2020m Croix des Chaux (accessed via a chairlift from Sodoleuvre down in the valley below Les Chaux). There's something for everyone wanting to ski down from Croix des Chaux, with a blue piste, a red piste and a black piste all making there way down to the main set of mountain facilities at Les Chaux. Skiers can continue down each of these pistes towards the Frience area, which incidentally has a good toboggan run. There's a drag lift at the bottom of these slopes to take you back up to Les Chaux. Alternatively, rather than heading down towards Frience from Les Chaux, you can ski down in the other direction to Sodoleuvre, and yet again there options for all skiing abilities with a blue run, a red and a black all winding down (from the bottom of these slopes you can get a chairlift right back up to Croix des Chaux or continue further down the slope to Rasse and get a chairlift up to the Chaux Ronde area). Those skiers coming down the blue piste from Les Chaux to Sodoleuvre can make a switch halfway down at Combe du Scex and make there way right down to Gryon on a long blue piste. Skiers can then return back up to the Les Chaux area on the gondola from Barboleuse on the edge of Gryon village. Let's make one thing clear from the outset - the scenery for those skiing on the slopes above Leysin is simply fantastic. From the amazing glass revolving-restaurant building "Le Kuklos", to the beautiful views to Lake Geneva, and the incredible rocky outcrops of Tour d'Ai and Tour de Mayen, there is some great alpine scenery for those lucky enough to be holidaying here. The area's highest point is Chaux de Mont, there's a freestyle park just below the summit and a black piste coming down below the face of Tour d'Ai towards Tete d'Ai. From the chairlift station at Tete d'Ai there are a number of slopes slopes down toward the village, the majority of which are blues but there are also a couple of reds and a shortish black slope. There are a series of pistes from the revolving restaurant as well, a couple of blues, a red and another shortish black. These runs come down to the area below Tete d'Ai and link in nicely with the slopes heading to the village. Going down the other way towards Les Fers and Solepraz, there are yet more blues and an easy red - the area is ideally suited for beginners and early intermediates to build their confidence on. Interactive piste-map of the Glacier3000 ski area above Gstaad and Les Diablerets. Interactive piste-map of the Isenau/Meilleret/Glacier3000 ski areas around Les Diablerets. Interactive piste-map of the slopes above the ski resorts of Villars and Gryon. Downloadable pdf piste-map of the slopes above the ski resorts of Villars and Gryon. Webpage containing official Leysein-Les Mosses ski maps. Downloadable pdf piste-map of the slopes around the ski resort of Leysin. 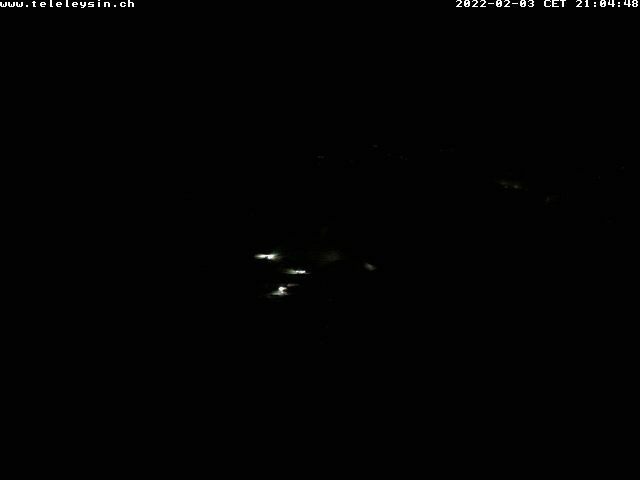 Les Chaux webcam - Webcam image of Les Chaux above Gryon. Leysin Revolving Restaurant webcam - from 2050m with views to Lake Geneva. Chaux Ronde webcam - Webcam image of Chaux Ronde above Villars. 2011: For the 2011-12 season a new 6-seater chairlift has been installed at Petit Chamossaire.